My friend Angela invited me to her husband’s hometown of QianJiang this weekend to see her inlaws. QianJiang is about an hour train ride from Wuhan, and a small town of half a million people, small by China standards anyhow. Nainai and Yeye were so sweet and patient with my lack of ability to speak Chinese. Neither of them speak a word of English so sometimes Levi (their 4 year old grandson) would translate back and forth between us. 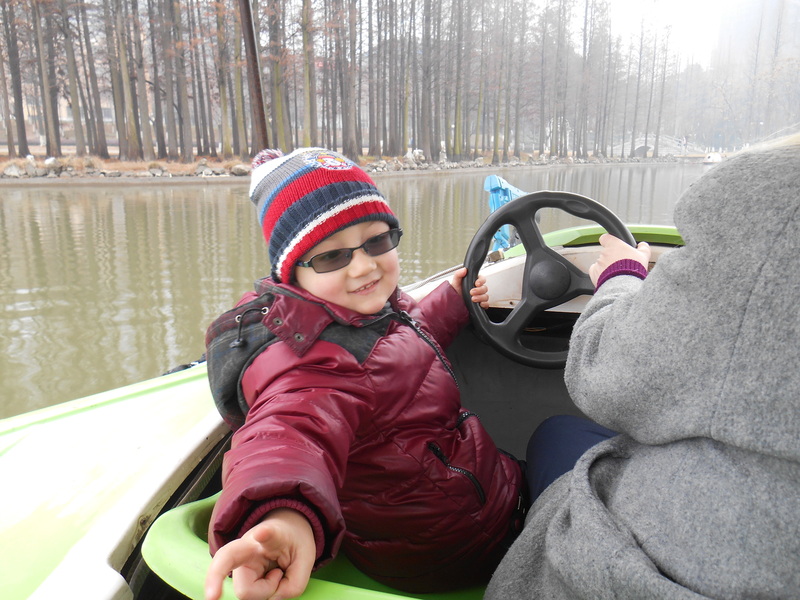 Angela and I took Levi to the park where he insisted on driving the Electric boat which we road around the lake for all of 20 minutes before he lost interest and wanted to come back home. Here’s Levi as captain of the ship. Nainai showed me how to cook breakfast one morning. She made these savory crepe things with a filling of chopped chicken, lotus root, green onions and mushrooms. It was fantastic. Being in a traditional Chinese home was different than what I expected. Most homes do not have heat, so although our bedroom was heated the rest of the house was not. I clearly remember wearing my finger-less gloves and cross stitching in the living room one night when I was able to see my breath. Yeye played cards with Angela and I in a game called Dodizhu (aka Beat the Landlord). It is normally a gambling game where money is exchanged, but we played for literal peanuts. Nainai taught me a four step dance routine that the little old ladies always exercise to in the park after dark, and which I was terrible at. The town square at night was fantastic. 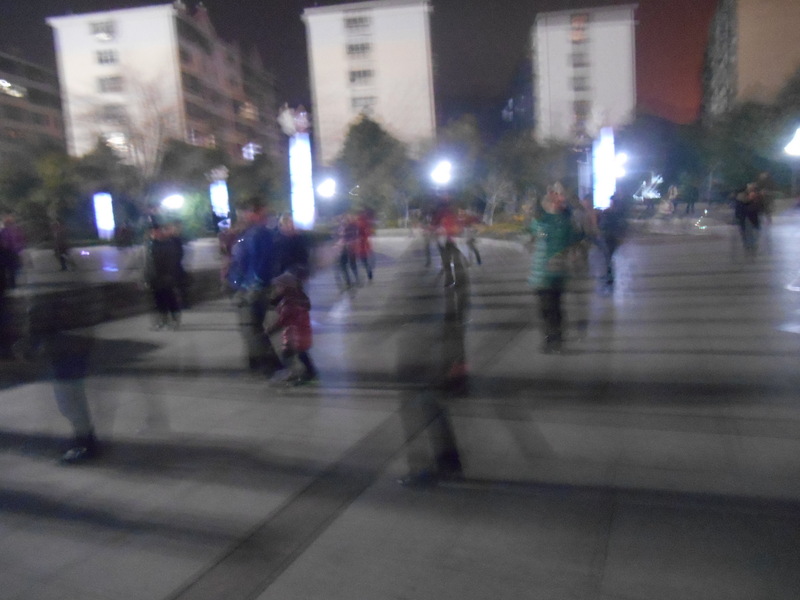 There was music playing, old ladies dancing, and children and adults alike playing bad-mitten and a Chinese version of hackey-sack. Also for the next two weeks I am helping Jenny with a short course during my winter break to help keep from getting lazy between now and the start of Spring Semester. Today she taught me how to cook three dishes. 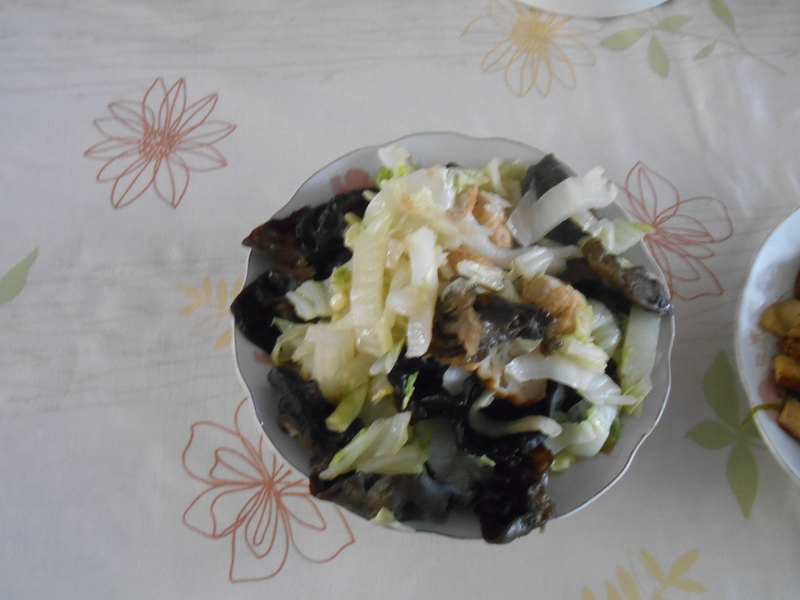 The first was Cabbage & Mushroom w/ Meatballs, Pork & Tofu w/ Carrots & Green Onion, and Chicken Soup w/ Slivered Mushrooms. All three were delicious. I wish I could teach you all how to cook asian food, but I think it’s impossible. 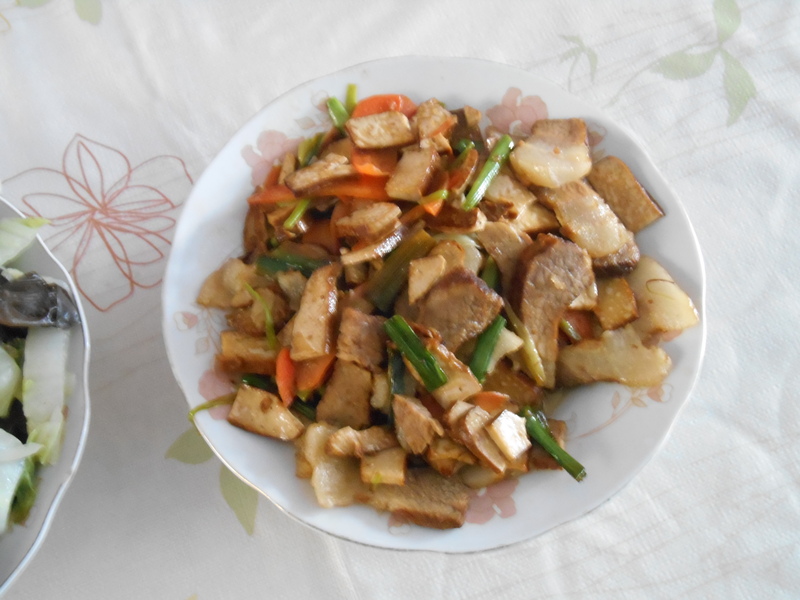 No one uses a recipe, they just stir fry various vegetables in a sizzling hot wok and add some combination of ginger, garlic, chicken powder and soy sauce or vinegar. Next Post I Got Mail!!!! Sounds like you had a unique experience of visiting a “real” Chinese home and seeing how they live. I’m really glad you were able to do that and it sounds like they were really hospitable and it was a nice experience. It’s so nice you’re learning the art of Chinese cookery. The dishes sound delicious! Thanks Mom. It was really interesting. I think it’s pretty easy to cook chinese food but I will try to learn some dishes so i can cook a meal for you all when I get home this summer.